This mid pack persistent slab shows itself in nearly every pit we dig over a very large geogrraphic area. It consistently fails under moderate levels of force in propagation tests. The failing cyrstal is normally large (2-4 mm) and blocky in shape. With our destitute snowpack (latest report: Kootenai Basin 58% of SWE average), avoiding thin weak areas in the snowpack is difficult, but these are the areas where you are more likely to trigger an avalanche. Under this 2015 destitute snowpack, I am frequently amazed compared to the depth and consistency of snow I dug in 2013 or 2014 (compare this 2014 with the photo above!) at the same site. We have some SNOTEL sites that are currently 44% of SWE average. 2015 will go down as a benchmark year for low Snow Water Equivalent, unless some actual winter weather arrives in March or April. Snowpack conditions are largely stable now with significant hard layers near the surface bridging over middle to lower snowpack weaknesses. We continue to watch the horizon for significant storm loading or thawing events. Until then, do not become complacent. Out of habit, continue to use those proven safe crossing and recreating behaviors that have served you so well. I visited Garver Mountain elevation 5,875 feet in the Purcell Range 46 air miles north of Libby. There I encountered a 31 inch snowpack on a steep northeast aspect. The top 3 inches was very soft new snow from over night. The next 6 inches was a knife hard rain crust from February 6th-7th rain on snow event. Below this is a 4 inch thick sandwich of 3 knife hard layers and 2 soft layers. The above hard layers are not penetrated by snowmobile, ski, or boot. Below this is a 4 inch thick pencil hard slab. The above layers rest on a very loosely consolidated layer 10 inches in depth consisting of 2-4 mm angular blocks. The bottom 4 inches of this snowpack is ice-like on top of talus rock. Extended Column Tests produced partial propagations at 14 inches from the ground just above the loosely consolidted layer (ECTN 18). Above this failure is 14 inches of very hard material. Since the Tuesday February 24th advisory, weather in the Kootenai Region has been dry with melt-freeze temperature cycles. 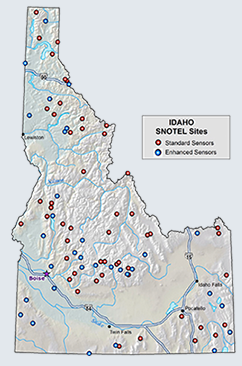 All SNOTEL sites have been reporting freezing temperatures (low 20s F) at night and above freezing temperatures (mid 30s F) during the day. 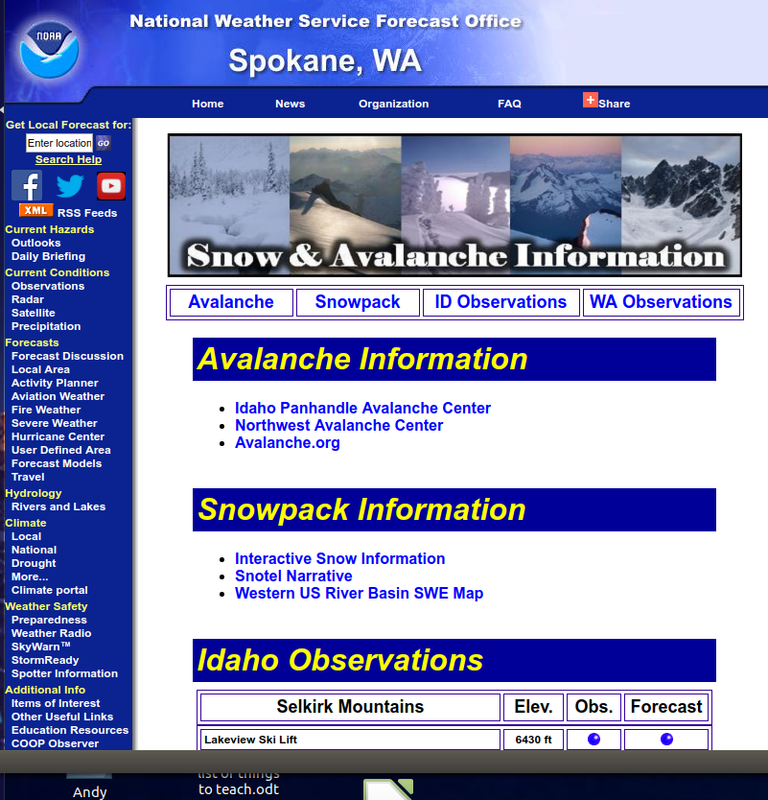 SNOTEL sites reported a trace to 2 inches of new snow over night, with several sites still reporting SWE drain (-0.3 to -0.8 inches) from the snowpack. Weather yesterday at Garver Mountain 5,875 feet elevation in the Purcell Range was partly sunny, calm winds, 25º F, and 3 inches of new snow overnight. Forecasted weather through Saturday is dry and cold, with winds from northeast at 10-17 mph. Day time tempeartures may rise to just above freezing while night time temperatures may reach single digits. There is no chance of snow.